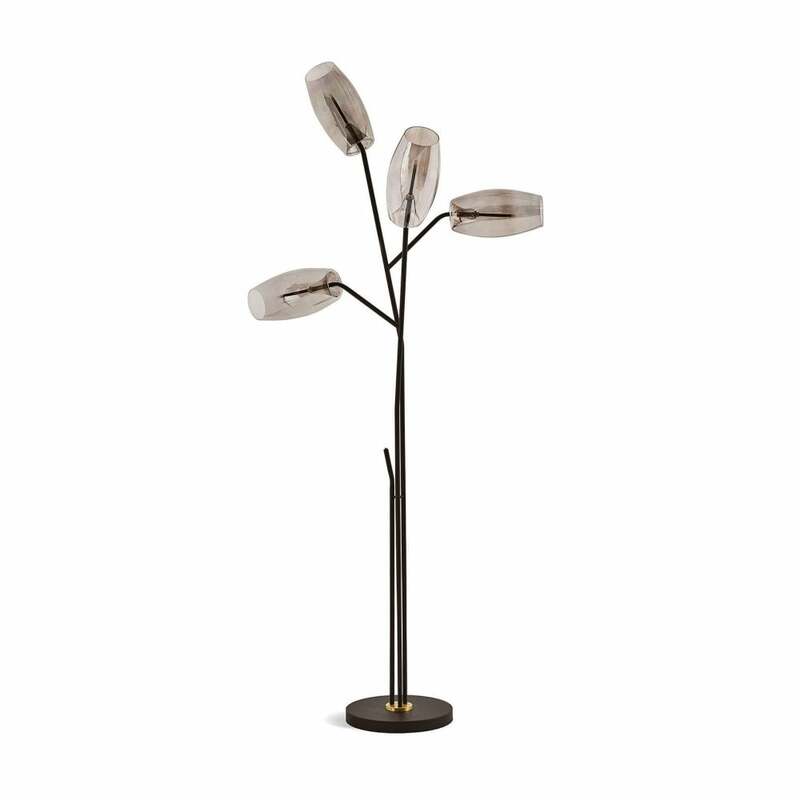 The natural, fluid shape of the mouth blown, painted glass shades give the Gallotti & Radice Diantha Terra Floor Lamp a subtle elegance. Sleek and understated, the subtle tint of the shades is beautifully framed by the structured bronzed black metal fittings to create a stylish and timeless designer light fitting. Style the Diantha Terra Floor lamp in a contemporary office interior with complementary Italian designed furniture from the Gallice & Radice collection, or illuminate architectural features such as open stairwells and exposed pipework in an industrial apartment.